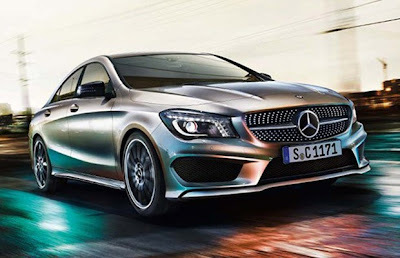 Home » Detroit Auto Show » Are these the first press shots of the Mercedes-Benz CLA? Are these the first press shots of the Mercedes-Benz CLA? We'll say right now that we aren't sure of their provenance; however, the site Auto Monthly has five of the kind of stylized press shots you get before a vehicle is officially revealed. 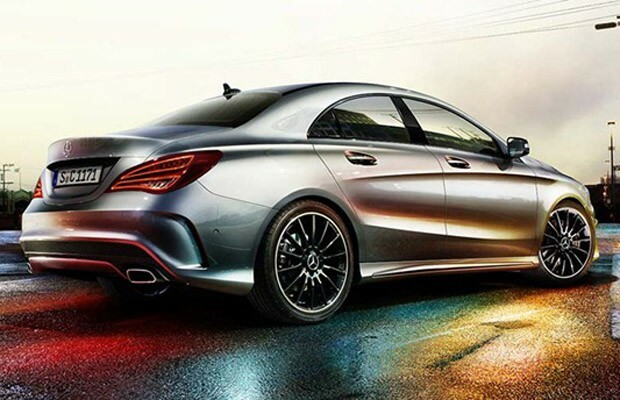 In this case the car is the Mercedes-Benz CLA, and since the little sedan is meant to debut next month at the Detroit Auto Show, the existence and release (or leak) of such photos would fit right into the timeline. We've already seen the thing naked in spy shots, and this lines up with the sneak peek from Iceland. 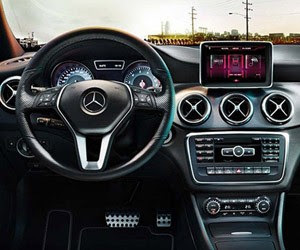 For something more substantial to compare, when Mercedes-Benz announced its new 4MATIC system for the CLA it released a host of photos to go with it. The car is covered in skin-tight camo so you won't get details, but you can get an idea of how it sits on the road. Even better is the video with rolling footage of the 4MATIC in action in the wet – that offers a much better visual of how small the sedan is. Our hypotheses and speculations won't need to go on much longer, for the final product will be shown to us all in a couple of weeks. For now, there are two high-res galleries, a video and a press release below.